Pastor: Book answered "profound need for honesty"
(CNN) -- Donald Miller sat alone in a hotel room and cried. Words needed to be written, questions answered. But Miller struggled to absorb what he felt; he was still in shock. Miller had inspired many with his words. 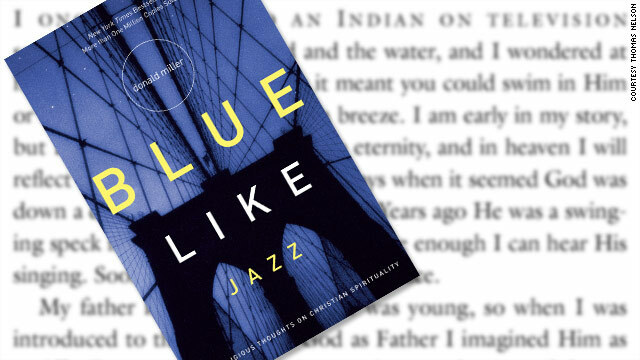 His Christian memoir, "Blue like Jazz," sold a million copies. He was a sought-after speaker. He had been dubbed the voice of a new generation of evangelicals. Before that, though, Miller was an angry teenager and petty thief who blamed himself for his father's absence. Then one day he met an unusual man. "Within a few minutes, you knew deep in your heart that he's for you, and he wants you to succeed," Miller recalls. Miller was crying because soon he would reveal what had taken him years to realize. He didn't start writing about God to help people. He wrote to make one man proud. Don Miller was having breakfast with a leader in a Christian evangelism group one day when a fan of "Blue Like Jazz" stopped by their table. The fan breathlessly asked Miller what inspired him to write his book. "I needed to pay the rent," Miller said. It's that lack of pretense that draws young Christians to Miller, says Dan Hardaway, the Campus Crusade for Christ leader who was there that day. "He's not your powerful preaching pastor. He's a storyteller who says this is something to think about." The 38-year-old Miller is tall and soft-spoken, with broad shoulders. When he stops by a Georgia church for a lecture, he's wearing jeans and green cowboy boots. He has no entourage. Though he's become a regular at Christian conferences, he tries to spend chunks of his time outside church. "Sunday morning church service is not an enormous priority; spending time with other believers is," he says. "Some people associate Sunday morning with God. One of the things I associate with God is a sunrise. How many sunrises have you missed over the years, and God created that?" Don Miller is a Christian author whose brutally honest books have made him popular. When "Blue Like Jazz" was published in 2003, Miller was an unknown freelance writer living in Portland, Oregon. The book made him a Christian celebrity. It may soon make him a star. A movie is being made about the book with Miller in the central role. Miller writes about growing up in a Southern Baptist church near Houston, Texas, before attending a liberal college in Oregon. The book's tone is introspective, lyrical, irreverent and brutally honest (one reviewer compared it to "Anne Lamott with testosterone"). Miller writes about everything from wetting the bed until he was 10 to his difficulties dating. Miller appeals to evangelicals because there is a "profound starvation for honesty," says Brian McLaren, author of "A New Kind of Christianity." Much of Christian contemporary writing is shaped by religious broadcasting. "What sells radio and television time is sentimentality and promises of easy answers," McLaren says. "He is honest about his pain and his doubts and his life being messy. But he's also honest about his hope and faith." Christians have been writing about their messy lives since St. Augustine's "Confessions" in the fourth century. But Miller adds another dimension: He writes about how growing up without his father left a psychological void. "Right now I'm sitting in the back of a tour bus, on a 65-city bus tour where lots of people come out to hear whatever my new book is about," he writes in "Father Fiction," his latest book. "But in so many ways, I'm still that kid, not sure exactly how to be emotionally intimate with a girl without feeling weak, not sure my work is good enough, not sure if the people who are clapping would really like me if they got to know me." Some people associate Sunday morning with God. One of the things I associate with God is a sunrise. How many sunrises have you missed over the years, and God created that? --Donald Miller. author "Blue like Jazz"
Miller is not content to write about that void, though. He created "The Mentoring Project," a program that offers mentors to kids without fathers. He contends that men who grow up without fathers are more predisposed to prison and brutalizing women. The Mentoring Project has attracted so much attention that Miller was asked by the White House to join a presidential task force on fatherhood. Miller accepted that invitation -- and another that was far more personal. He met his biological father. Miller says his mother and father divorced when he was a kid and his mother never talked about his father. He blamed himself for his father's disappearance. "I was afraid he'd rejected me for a reason, that he somehow knew I'd grown up and become fat." He had his father's number for two months before he finally called him. When he drove to his house, a big man opened the door and hugged Miller. "I'm sorry," he said as a tear rolled down his cheek. "Do you forgive me?" "It was very easy because I had never really held anything against him in the first place," he said. "He left so early that he was just a stranger in my life." But the son could see himself in his father's smile. A copy of one of his books was on the dining room table. Miller's meeting with his biological father might have gone better than anticipated for another reason -- another man had already stepped into the void. That man was a pastor. David Gentiles didn't look the part. He wore work boots, drove a creaky Ford pickup and wore a chewed-up Cleveland Indians baseball cap more than he wore pastor's robes. A Cajun from Louisiana, Gentiles stood only 5-foot-5 but he loved big hugs, laughed loudly and cried openly. Gentiles, Miller said, "taught me more about Jesus than anybody I knew." When Gentiles was hired as a youth minister, Miller had just started junior high school and was filled with adolescent angst. He broke into people's homes, shoplifted and declared Christianity was for "the intellectually naive." "I could have easily ended up in prison," Miller would write later. He didn't like men in authority. He thought the senior pastor at his church was controlling. Gentiles, though, didn't tell Miller what to do. He showed him what he could be. Gentiles had a genius for seeing potential in people. He once let a man who was unsure about pursuing the ministry stay at his home rent-free. He corralled groups to attend the concerts and book readings of Christian artists he befriended. He was the kind of guy who showed up to help people move, always rooted for the underdog, and read his Bible so much that he could fold it like a magazine. "Being friends with David was an uneven deal," Miller said. "You could not love him like he loved you." Being friends with David was an uneven deal. You could not love him like he loved you. When a friend was critically injured in a car crash, Gentiles drove 200 miles to stand at the man's hospital bed. He told him friends and family were praying for him. "We will not let you die," Gentiles said. When the man revived and recounted a vision of visiting heaven, Gentiles persuaded him to write about his experiences. That man, Don Piper, would write, "90 Minutes in Heaven," now an evangelical classic. Gentiles did something similar with Miller: He convinced him he had something to say. Gentiles wrote a column for the church newspaper, but asked Miller if he wanted to fill in for him. Miller warned he wasn't going to be a "pawn of The Man" and write church propaganda. "Would never ask you to compromise," Gentiles said. Miller's first essay told the story of a girl who sung "His Eye is on the Sparrow" at a high school talent show and faced a chorus of boos. The girl may have been teased, he wrote, but the angels applauded, and their opinions matter more "because angels can fly." The essay was a hit, with church leaders and Gentiles. The girl in the talent show cried when Miller showed her the column. Miller felt like he had been given wings. Gentiles asked Miller to write more. He fanned Miller's desire by calling to tell him when yet another person praised his writing. "This," he would tell Miller as he held up another letter, "is a big deal." He told him he had a gift for writing about "the heart of our faith." "Nobody said I was good at anything. This was the first time tasting that. It was like water for thirst." Gentiles' did more than encourage Miller; he shaped his life. The fingerprints of his mentor are all over the pages of his books and his life. "He was the biggest factor" in his decision to start The Mentoring Project, Miller said. "I realized that kids needed more than a book, they needed a friend. And in my life that friend was David Gentiles." Gentiles also shaped Miller's theology. Defining Miller as a conservative or progressive Christian is difficult. He's a bit of both. Miller once ended an interview with a journalist by sharing the Gospel. And he once wrote that in all of his readings, "I don't find anyone more noble than Jesus." But he also attended a Unitarian church where "they freely and openly accepted everybody the church didn't seem to accept," he wrote in "Blue Like Jazz." Miller, in fact, has become something of an evangelical rebel. Critics have dismissed him for being too vague on issues like gay marriage and abortion. Devotion to Jesus, not dogma, is what defines a Christian, Miller wrote in "Blue Like Jazz." Gentiles, too, wasn't interested in theological jousting. He left a Southern Baptist church and ultimately joined the Journey IFC (Imperfect Faith Community) church in Austin, Texas, where people sat on sofas instead of pews and the only church mission statement was love Jesus and love your neighbor as yourself. "David would not be interested in a conversation about theology and neither would I," Miller said. "It seems like a distraction in a way if it's not about Jesus and it's not about people." When Miller became a successful writer, Gentiles cheered him on as if he was still the uncertain teenager. He would tell friends to read Miller's books and take groups to readings. "Oh my God, he talked about Miller all the time," said Rick Diamond, co-pastor of Journey church in Austin with Gentiles. "He talked about him like a proud dad." Miller returned Gentiles' praise in an unusual way. When he published "Blue Like Jazz," he dedicated the book to Gentiles. But he didn't tell him because he said it would have been an intimate moment "I didn't know to navigate." Gentiles learned about the dedication from others. He was stunned, said Ariele Gentiles, the pastor's oldest daughter. "He thought it was hilarious," Ariele said. "He didn't see himself as a mentor. He thought he was doing what he was supposed to be doing." 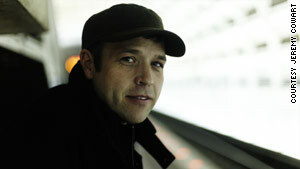 On December 14, 2009, Gentiles was lifting weights in Austin when he suffered a heart attack. He died four days later. He was 58. Miller heard the news by phone at his home in Portland, Oregon. He paced every room as he digested the news and prayed for Gentiles. The pastor's daughters asked him to deliver the eulogy. He spent a week trying to write it. But he didn't finish until the night before the funeral. It was held at a baseball stadium because Gentiles' church wasn't big enough to accommodate the mourners, and Gentiles loved baseball. Miller stepped before a microphone at home plate and looked at hundreds of Gentiles' friends in the bleachers. "I write today," he said, "because when I was a kid, it made David Gentiles proud." "But if it's true a person's life is a sermon, David Gentiles preached the best sermon I've ever heard," Miller said. Seven months after he said goodbye to his friend, Miller still talks about Gentiles in the present tense. He misses him the most when good fortune comes his way and he realizes he can no longer call Gentiles. "I'm never going to hear him say I'm proud of you again." No one could replace his father, but Gentiles came close. "I'd love to have another hour with him."